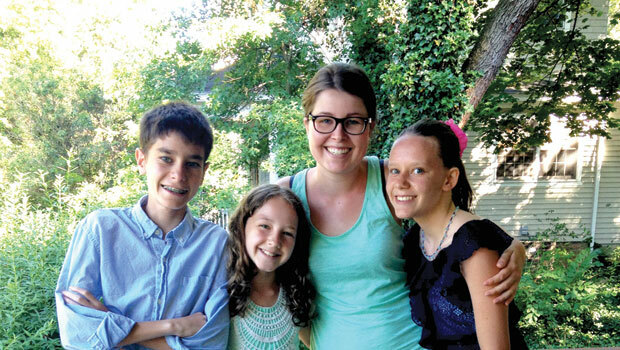 Hannah B. from Germany is au pair in New Jersey, USA. Medical problems aren’t limited to the body. Children’s mouths grow so quickly that they also can have dental problems and emergencies. You can help to minimize problems by encouraging the children to take good care of their teeth: brushing after meals and avoiding a lot of sugary foods. Babies and toddlers should never take a bottle of juice or milk with them to bed - only water. Sweet drinks can cause tooth decay before baby teeth even grow into the mouth. With children younger than two, wipe teeth gently after they eat - they are too young to brush their teeth. Toddlers may begin to learn to brush their own teeth, though you should supervise children this age very carefully to make sure they don’t swallow too much toothpaste. Make tooth care fun for young children. Make up silly songs about tooth brushing and develop tooth care habits. If you have teenagers or older children in the house, they may have braces. Braces can hurt the gums and the insides of the cheeks; the child should have special wax to put on the braces to make them less irritating to the mouth. Children go to the orthodontist regularly to get the braces tightened. This can cause pain and discomfort for a couple of days after the tightening. Talk to your host parents about what you can do to help children with braces during this uncomfortable time. Children start to lose their teeth around the age they start school. The teeth will fall out by themselves; don’t help the child pull them out. Talk to your host parents and see if the Tooth Fairy is a custom in their country. Just as they hurt any other part of their bodies, children can also hurt their teeth when they fall or have an accident. If a child complains of a toothache after a fall or an accident, call the dentist. If a child knocks out a tooth in a fall or accident, take the child to the dentist or emergency room, put the tooth in a wet cloth or in a glass of milk or water (don’t clean it) and bring the tooth with you. If a child badly chips or breaks a tooth, call the dentist and take them to see the dentist or to the emergency room as soon as possible, and remember to call a host parent to tell them what happened. If a child complains of a toothache or pain in the tooth that lasts for more than a few hours, tell your host parents. If the pain is severe, call the family dentist. Ask the child to describe the pain (Sharp? Dull?) so that you can tell the dentist about it.